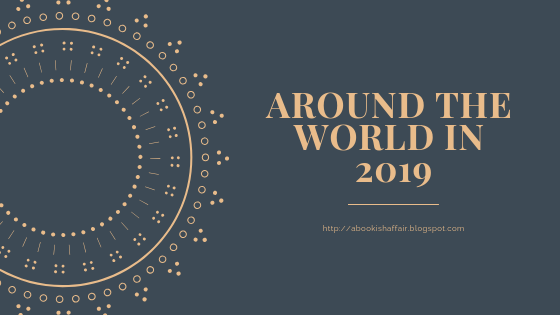 A Bookish Affair: Reading Challenge Update! We're at the end of the first month of my reading challenge and so far it is going very well. As a reminder, I am aiming to read a book from or set in each country the Department of State recognizes, which is 195 countries! You can check out my progress on my map or see a list of where and what I'm reading here. I focused on trying to find book recommendations for what I think is going to be one of the hardest continents for me: Africa. I found a lot of good choices but I'm definitely going to need to do a lot more digging, particularly for some of the smaller countries, which also seem to be the harder countries to find selections for. For the next month, I'd like to continue to focus on some of the areas that I think are going to be difficult. Aside from Africa, I know that I am really going to need help with selections in the former Soviet satellite countries. If you do have suggestions for these regions or any other countries where I haven't read yet, please, please let me know in the comments!